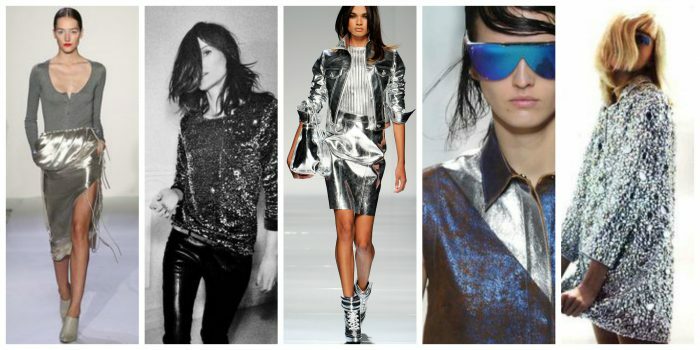 Shine like a star, as I am here to show you shiny metallic accessories and clothes you can try this Winter. It’s time to shine bright like a diamond and sing Last Christmas! Some of you might think it’s an overdosed trend with too much of kitsch, but I see it as something 1970’s inspired with rock and roll touches. Think more globally and try on different sparkles, glitters and eye-catching metallics. But how to wear this high shine in real life? There are several ways how to make this trend look awesome on you. High shine look can be created in different ways. Go for a gray long-sleeve bodysuit tucked in a silver metallic midi skirt with side slit, or make a wow statement by wearing a skirtsuit in shiny silver metallic look. 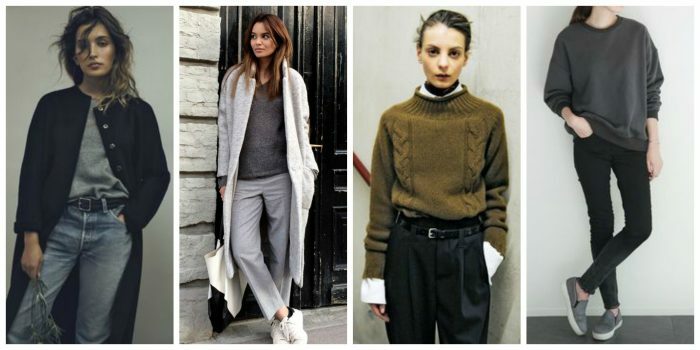 This blog post is dedicated to Winter fashion trends you all can follow this year. Frankly speaking, the showcased looks are timeless and you can use them for a lifetime! The shown street style images ain’t going anywhere any time soon. When I say about timeless fashion, I mean it! So, please welcome: long coats, sneakers, ankle boots, turtlenecks, cropped tops and sweaters, neutral color palette and boyfriends trend. All these essentials are must-haves for any Winter season.